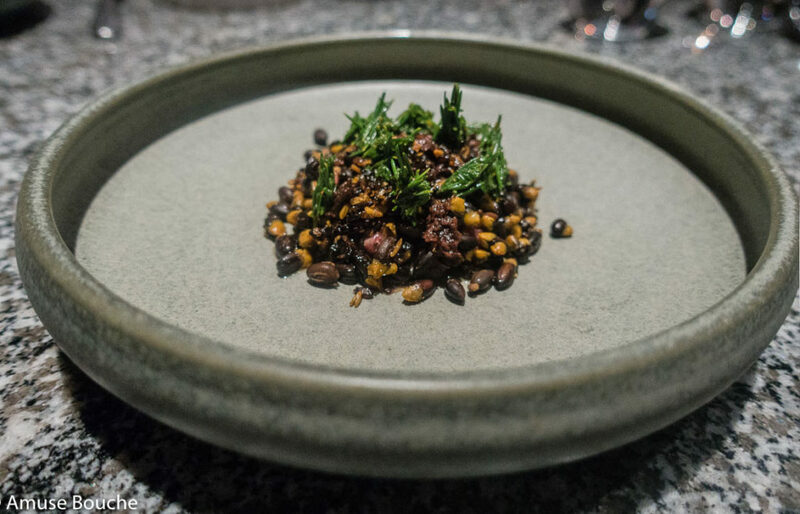 “I like to eat food made by good people” said Ben Shewry at the end of our culinary experience at Attica, while talking vividly about all the places where he likes to eat. In Melbourne and all over the world. 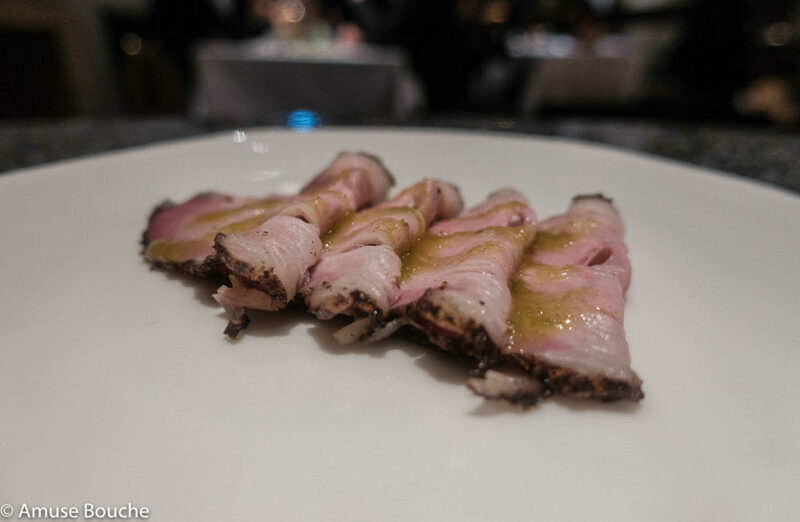 It’s exactly what we felt during our entire dinner at Attica, compressed in a single line. 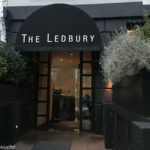 Ben Shewry is that “good person” and we could feel it with every dish that touched our table and palates. 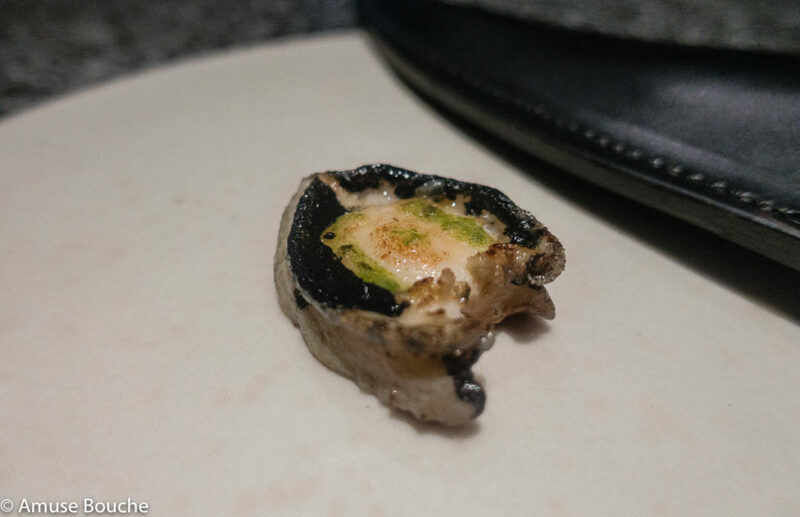 Most surely, we’re not the firsts to feel this, cause Attica is the best restaurant in Australia and No. 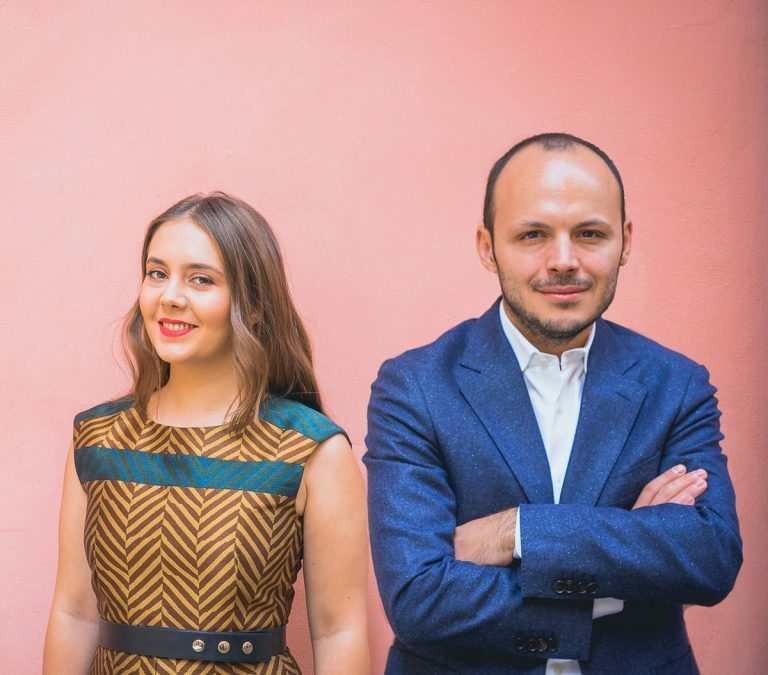 32 in the world according to World’s 50 Best Restaurants 2017. 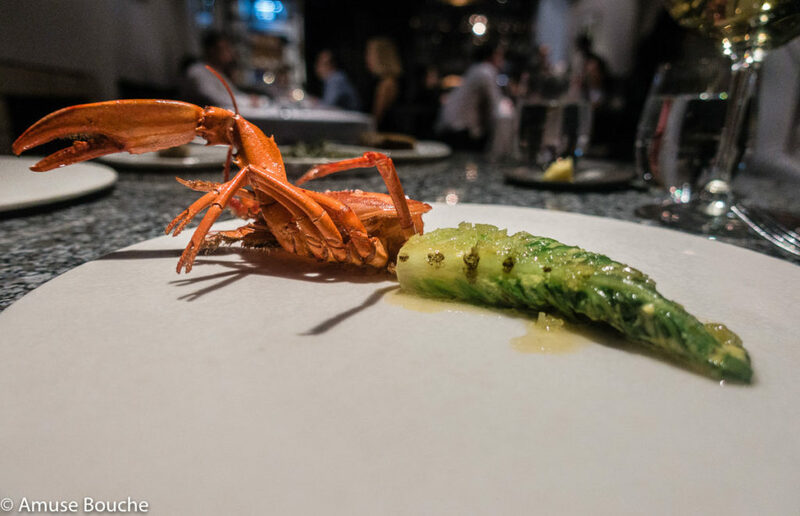 Our first real emotion about Ben and his restaurant came along with the Chef’s Table series. Beyond technique and the story of local ingredients, the episode dedicated to Attica builds up on Ben’s identity translated into his food and the restaurant business. In a quite emotional way, pointing out the struggle for success, the motivation behind, the decisive moments. 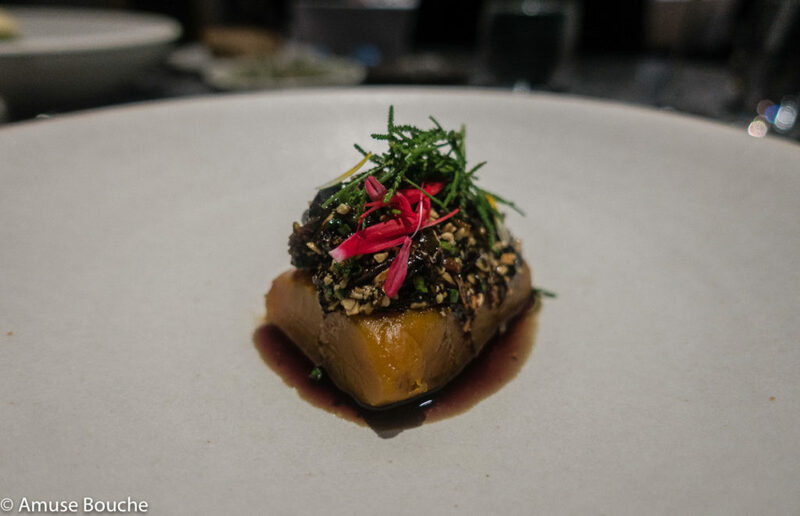 We went to Melbourne for the World’s 50 Best Restaurants Gala and maxed out the opportunity to book a table at Attica. 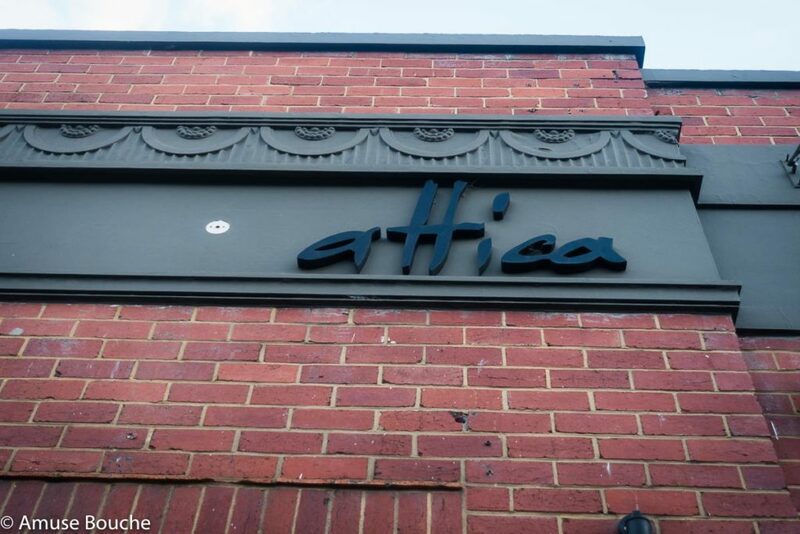 Attica went through a massive renovation this year. The only restoration in 11 years since the restaurant opened its doors. Maybe it has something to do with the World’s 50 Best coming to town or maybe it was just the right time to hit the “refresh” button. No matter the arguments behind, for us it was perfect timing. The “new” Attica comes with a minimalist design and a bit of dramatic accents here and there. Just enough to spice up things while maintaining the attention on food and ingredients. 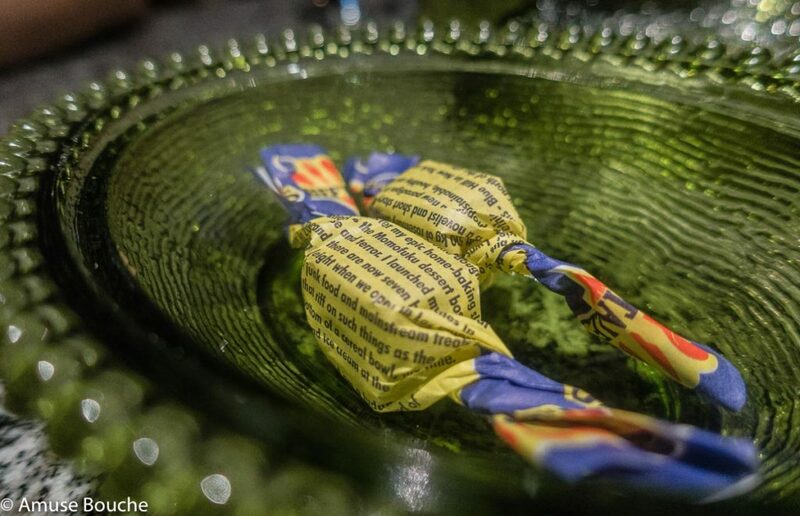 Quite an usual approach these days in the World’s 50 Best Restaurants. Attica has 55 seats, organized in 2 rooms connected to each other. The whole set-up creates a bit of a theatrical feeling, with white/dark contrasts, white table cloths in one room versus marble tops in the other one, lights concentrated on the tables. 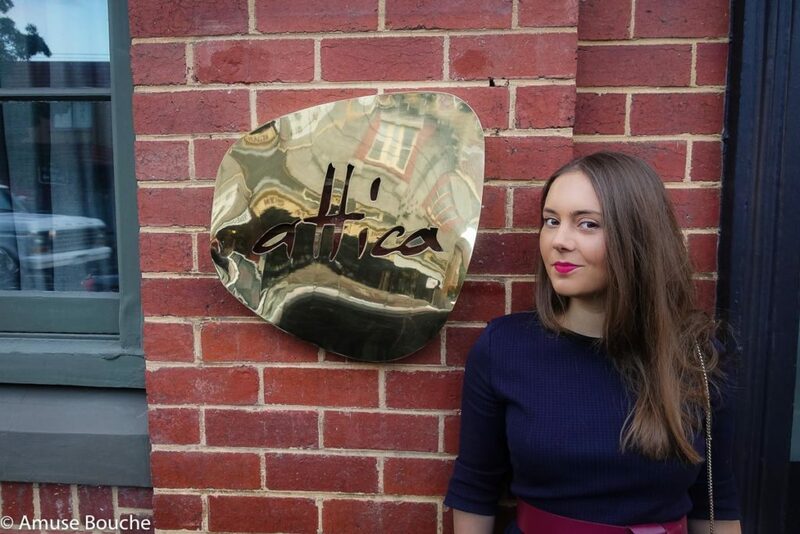 The new image of Attica was a project involving local suppliers and designers. 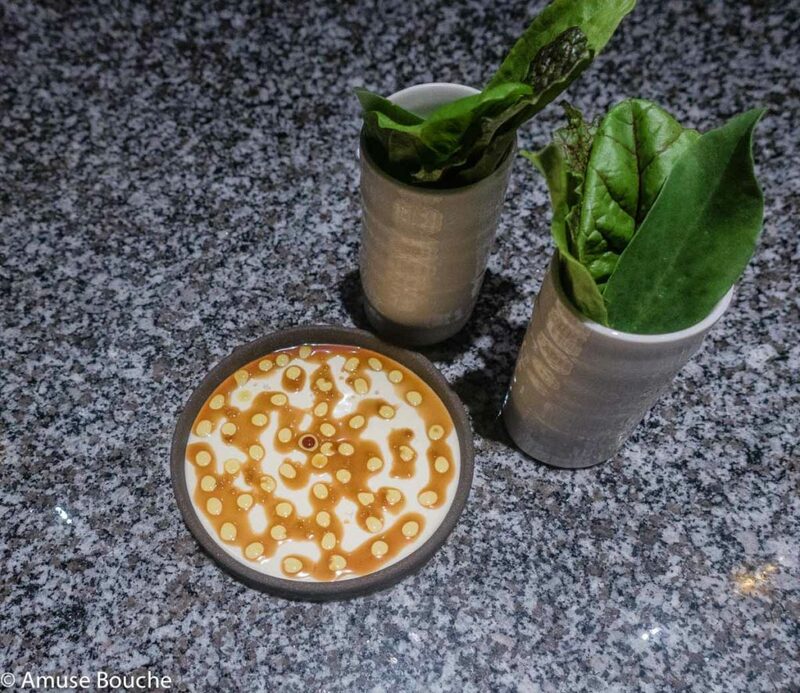 Starting with the plates and ending up with the chairs, everything is locally sourced. So, the approach Ben has with all the ingredients passing his kitchen door is now the standard everywhere in the restaurant. The concept went over from kitchen to dining room. A few dishes were brought to our table by Ben Shewry himself. Right at the beginning of our culinary experience. One could say it’s an attitude and a level of involvement totally unusual for such a famous Head Chef. But, it’s that kind of modesty and normality of “really good people” that brings them in the front row of culinary world. And it’s the kind of attitude that makes the moment follow your thoughts for a long time. Ben’s food is about identity. About the history of the place, his roots and being in a constant connection with his own emotions. All this takes the shape of memorable dishes and aromas. Ben comes from a quiet town in New Zeeland. 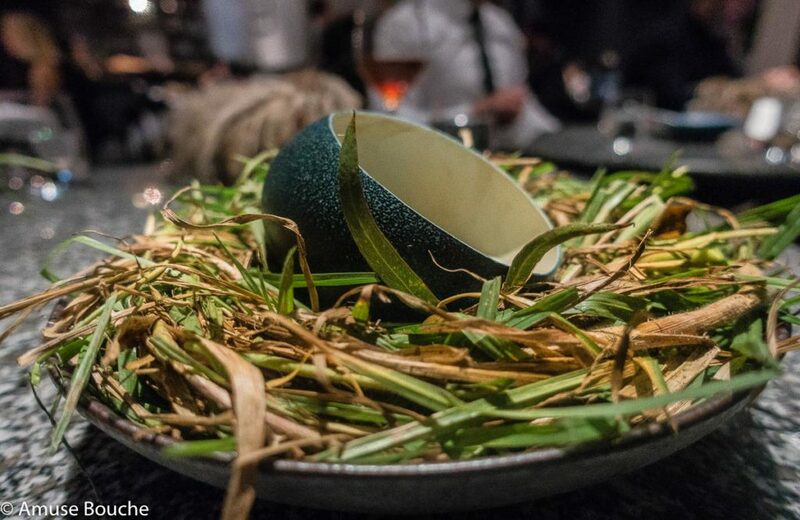 The unique experience he built at Attica is a mix between the emotion of childhood foods and native Australian ingredients like kangaroo, Emu eggs or Marron, a local species of langoustine. 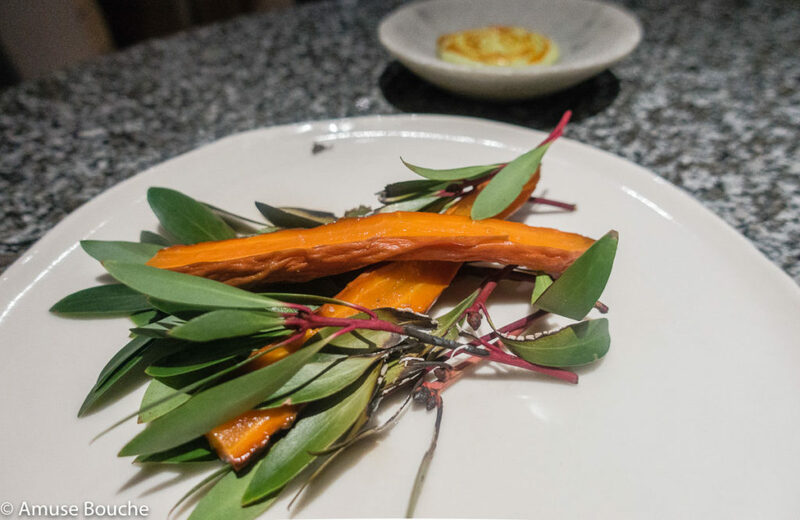 As the name suggests, this dish is a selection of 4 leaves from Ben Shewry’s garden in Ripponlea estate. They grow there over 100 different types of edible plants. We had mustard, rainbow chard, broad bean and sorrel, along with the recommendation to dip each one as much as we could into sour cream and sweet vinegar. This was brought to our table by the chef himself. Santa Claus melon aged in bio dynamic grain, which makes it very sweet. On top, they sprinkled a powder of the incredibly sour native Davidson Plum. Heirloom tomatoes straight from the garden, brushed with seaweed miso. Everything placed carefully underneath tomato plants. 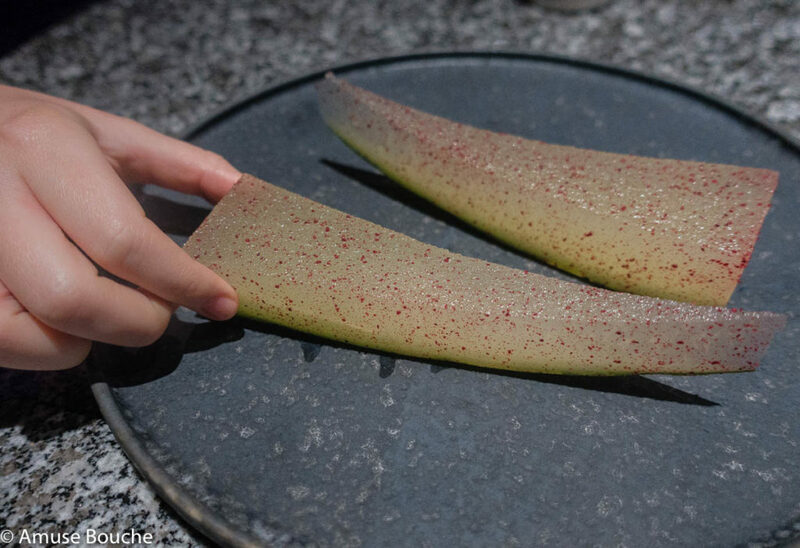 So, we had to do a bit of a foraging activity in our plates to pick the tasty fruit. 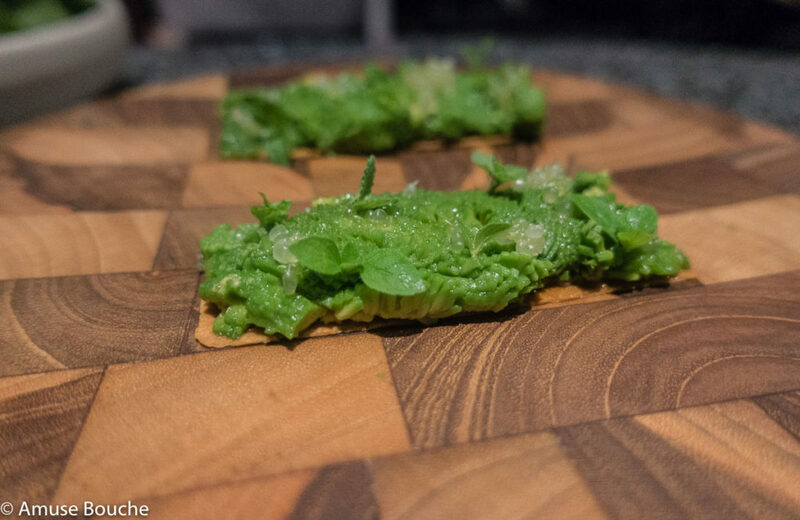 Melbourne’s classic smashed avo on toast touched by Ben Shewry’s creative magic wand. Underneath the avocado is a paste of fermented walnuts, on top finger limes from Byron Bay and different types of mint. Smoked Pork Smoked pork from the Greta Valley, dressed with apple skin vinaigrette. One deeply narrative plate. 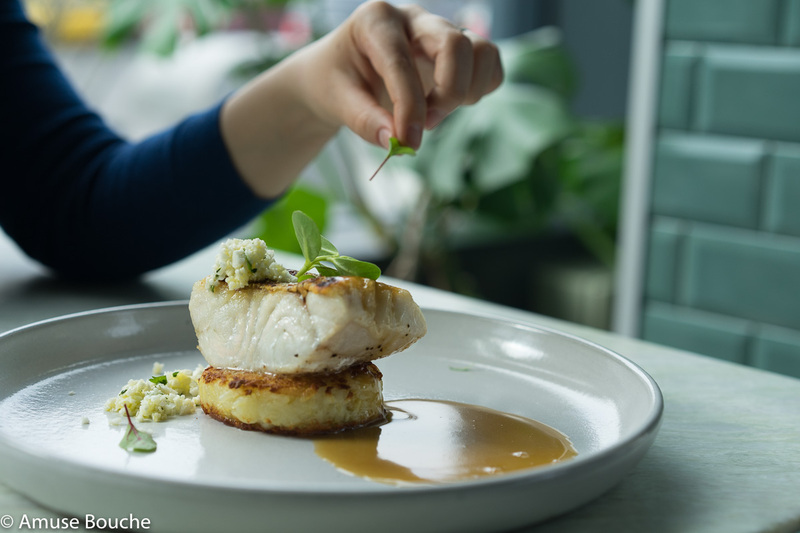 A mix of 3 small dishes paying tribute to the past and present inhabitants of the area around Ripponlea. The 1880’s tart – referring to the English migration in Ripponlea – black tart shell filled with English Breakfast tea cream, fresh pear, and warm black pudding. The 1930’s tart – representing the influx of Jewish people in Ripponlea – tart shell made from matzo and schmaltz filled with fresh corn cream, dried chicken, dill and chicken soup jelly. A dish paying tribute to Butcher Garry McBean. Vegemite pastry with organic lamb inside and raw goats cheese on the outside. Chewy carrots cooked over pepper leaves with a sauce of smoked eggs and tarragon. 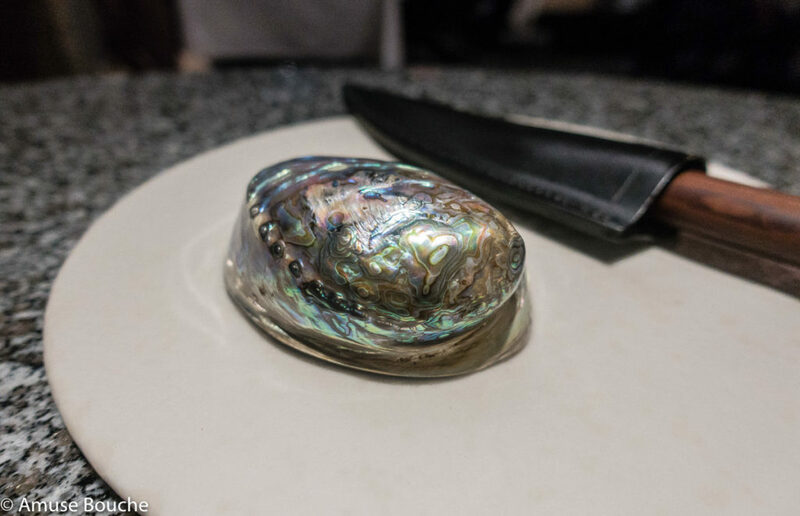 Mutton shell – Baby Abalone The baby abalone comes from Indented Head. 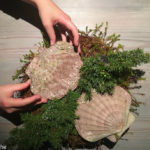 It is gently cooked and served with seaweed butter and black cream. This one is literally beef on the bone 🙂 Dry aged grass fed sirloin from Tasmania, lightly poached and finished with burnt macadamia salt. Everything organized on a beef bone. 25 different herbs and flowers from the garden. If we had to put a taste to Australia this would be it. 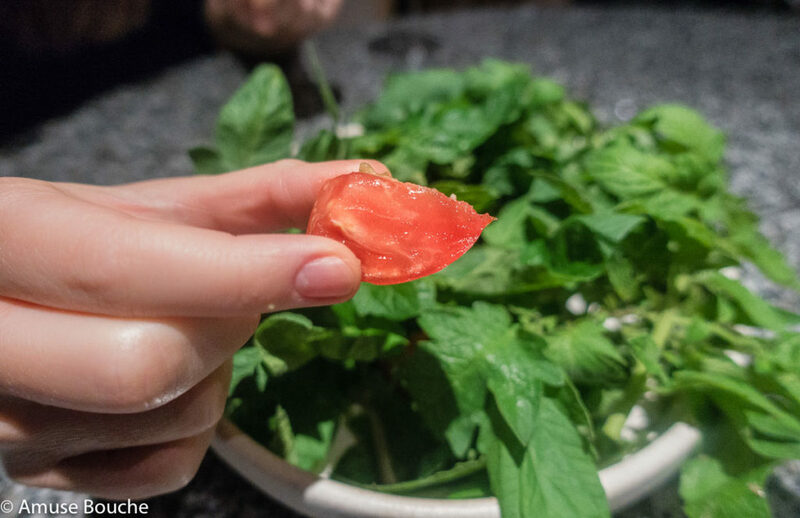 An emblematic dish made only with endemic ingredients to Australia. 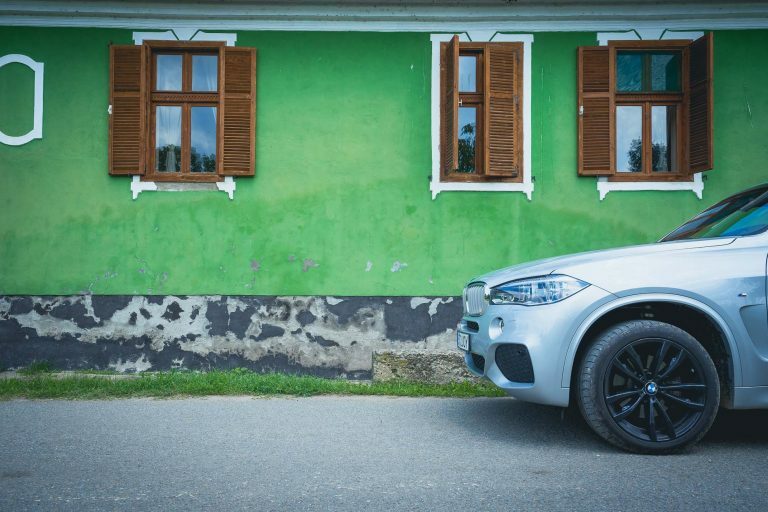 It really made a mark on our palate. Salted red kangaroo with different wattle seeds and Geraldton waxflower. 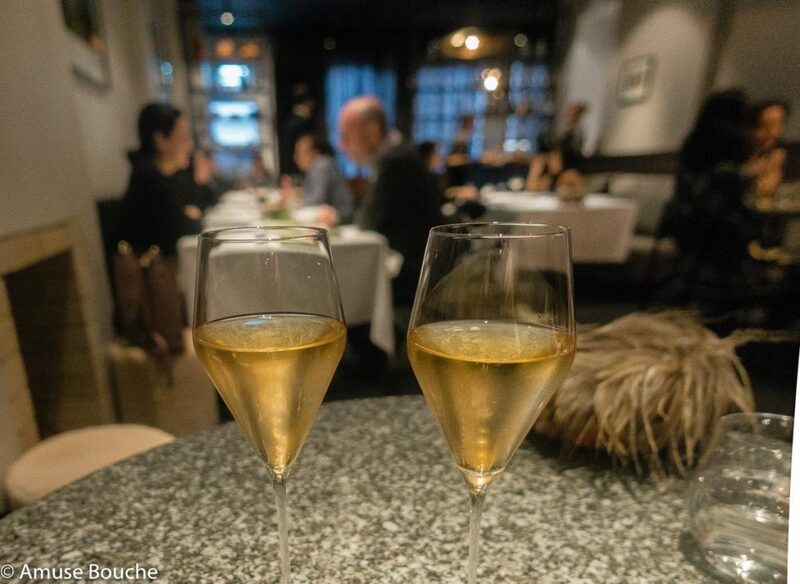 Our meal at Attica brought along some interesting premiers. But we didn’t expect “the tulip” to be one of them. 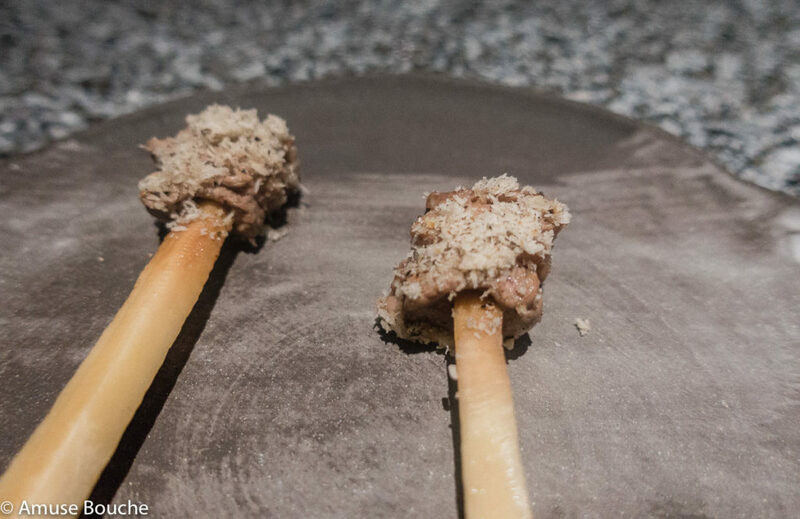 Jumbuck neck was served inside tulip petals with a paste of fermented walnuts and Geraldton Wax. 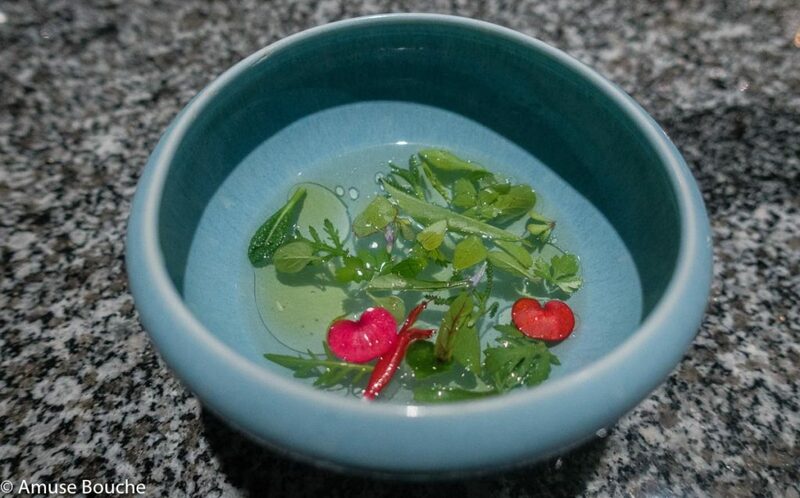 The sauce made of pink verjus and pepper leaf ash. Our favorite dish in the menu. 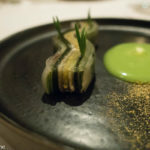 A humbling example of the dimension everything can get when using just one quality ingredient and a bunch of creativity. The seeds, the skin and the flesh of the pumpkin are all part of this aromatic dish. 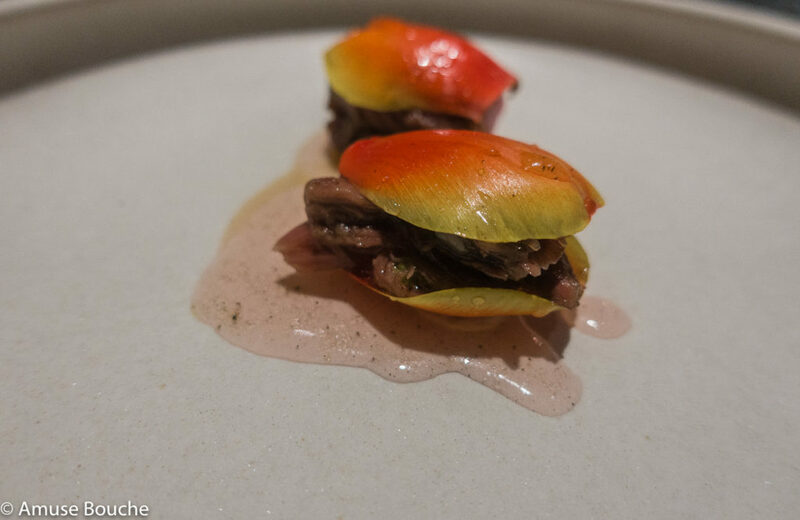 The plate is finished with a cream flavored with raw pumpkin juice and sour Tasmanian ale. Just perfect! 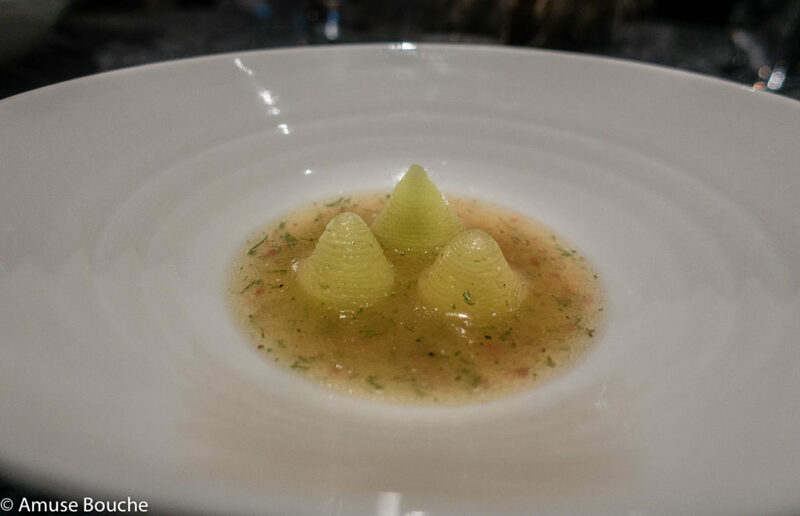 Apples filled with lemon aspin cream and finished with a sauce of lightly fermented pineapple juice, anise myrtle oil and Byron Sunrise finger limes. 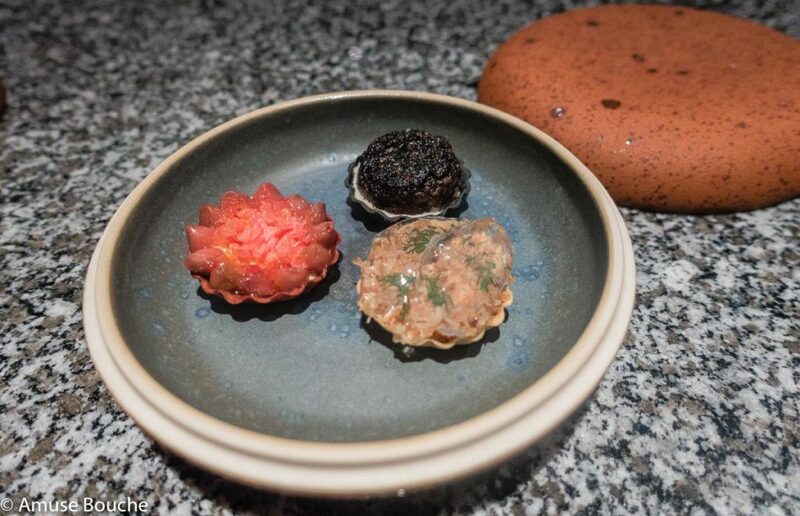 The plate selected by World’s 50 Best Restaurants as the signature dish of Ben Shewry in 2017. 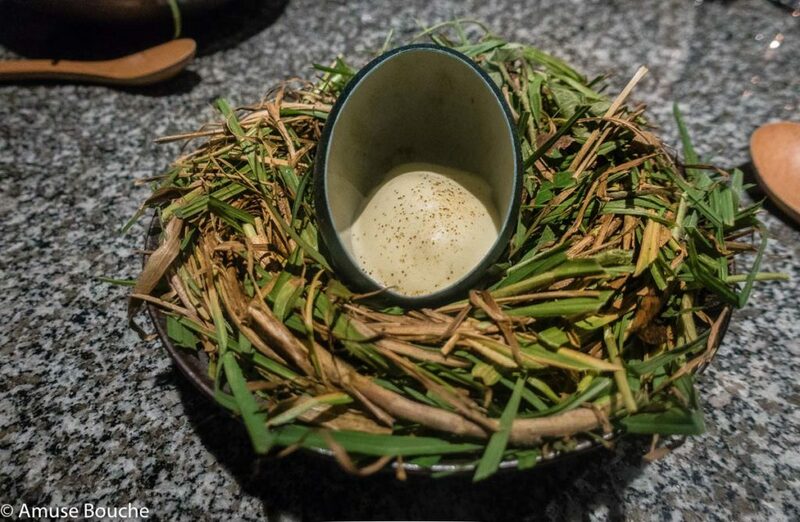 Whipped emu’s egg in its shell with sugar bag honey, dark wattle and Daintree chocolate ice cream. Underneath is quandong, the fruit that produces the seeds placed in the baskets that sat on out table the entire evening. 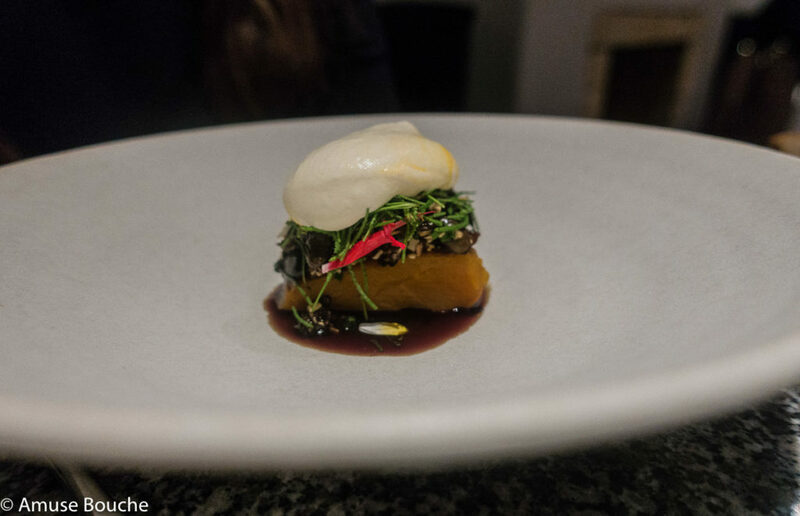 Ben Shewry’s version of Fantale, an emblematic Australian dessert. Everything wrapped in 12 different stories of worldwide famous chefs. 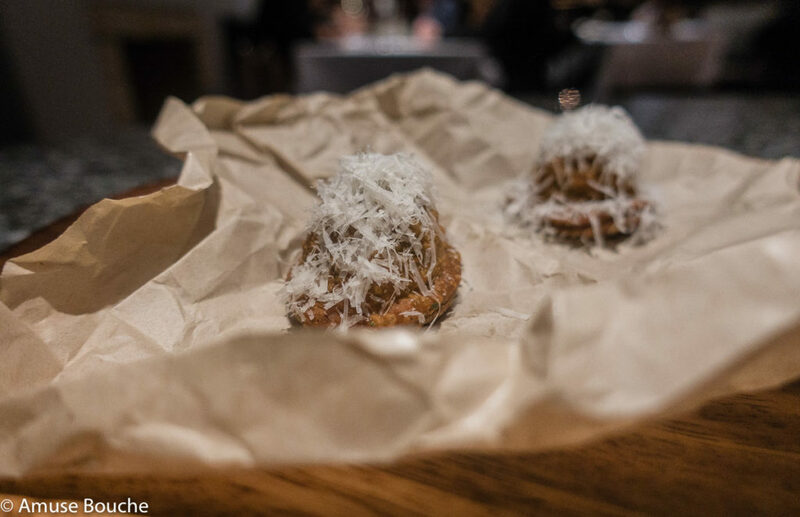 We had: Dan Barber and David Chang. 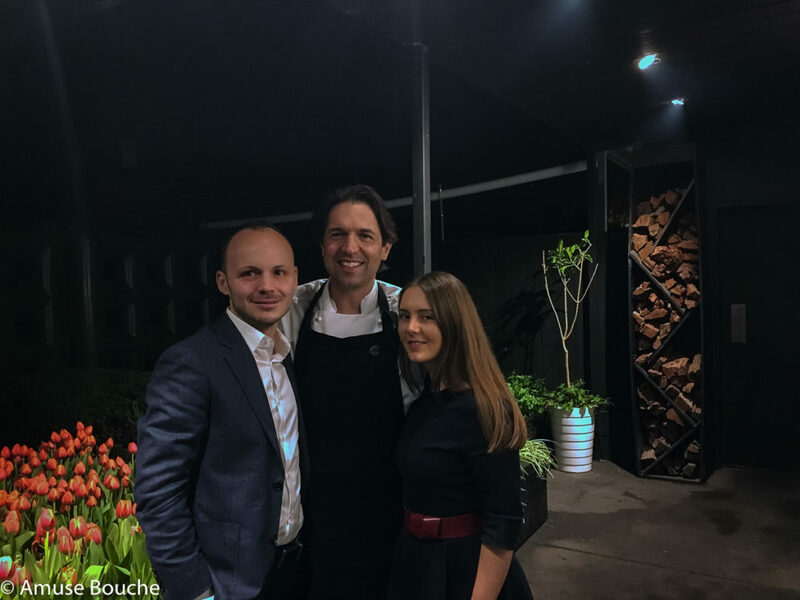 Perfect end to a perfect evening: visit in the kitchen of Attica and the restaurant’s garden full of tulips, plus a memorable talk with Ben Shewry. We even got a gift that changed the course of our meals for the rest of the holiday. 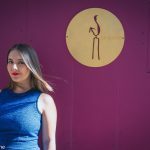 A list with all the places in Melbourne where Ben likes to eat (dish recommendation included). Best gift, pure gold. Thank you Chef for a memorable experience!